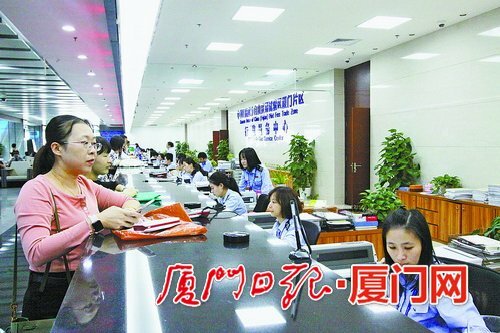 The tax department of Xiamen's Xiangyu bonded zone has reduced invoice application and collection times to a maximum of two working days, local media reports. Previously, new taxpayers were required to complete two application forms and wait six working days to collect their applied invoices. Applicants can now simply log onto the online tax service platform for invoice applications. Applicants already verified by the tax service platform who have purchased tax control equipment are now offered same-day collection of their value-added tax invoices. VAT special invoices will be available just two working days after the submission of an application.